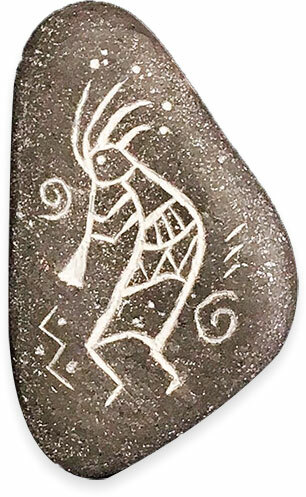 We might as well stretch this holiday weekend for one more day with Leila Bidler’s Kokopelli, the Native American trickster god. Leila’s carved imitative stone gives New Year’s a touch of tribal. The how-to pictures on her Instagram show her methods. Party’s over. It’s time to get busy again but no reason you can’t slip a memento like this in your pocket to remind you of what good times you intend for the year. Thank you so much for the feature ? ?